and presentation to patients and your peers. Contact us today about our clinical photography equipment and guides. Our team can help you take your medical photography to the next level for your practice and your patients. Different practices have different clinical photography needs and priorities. Some clients are only interested in capturing standard, “daylight" photographs. Others are interested in more specialized lighting to document and assess changes in skin pigmentation, texture and laxity. Some clients prefer to store all of their images locally and some prefer the advantages of cloud storage to be able to access and manage their clinical photographs from anywhere. The physical layout, design and workflow of each practice is also different. Whether you have 1 treatment room or 10, a dedicated room for consultation and photography or several. Whether you have consistent overhead lighting, open windows with lots of sunlight or low level spa lighting, we can help you select the right tools to improve the quality and accuracy of your clinical photographs. 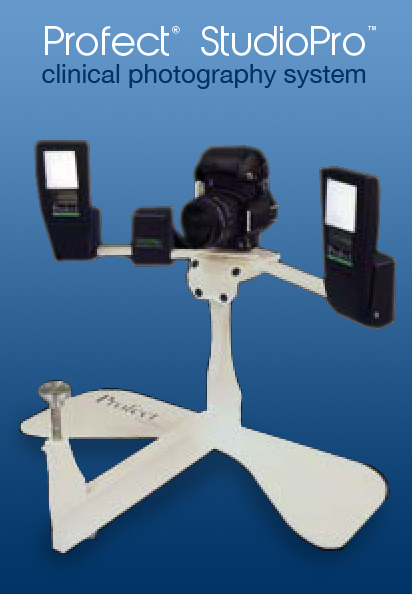 Desktop positioning stand, camera, lighting and software enabling consistent and reproducible multi-positional clinical photographs of the face and neck. Simple and easy to use, Ultra-III gives you a powerful set of tools to organize, analyze and present your clinical photographs. Without consistent and reproducible angles and lighting it can be hard for you and your patients to see how much they have improved. 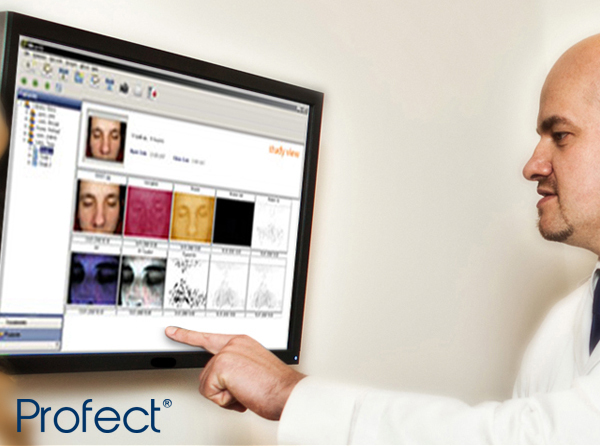 Profect® clinical photography systems are designed and engineered to deliver optimal image consistency over the full treatment period. Although new mobile applications such as our epitomyze™ capture app can help you to document, standardize and analyze your clinical photographs, many medical professional benefit from image information that only specialized lighting and high end digital cameras can provide. Over 14 years designing and building professional grade clinical photography systems that provide consistent and specialized lighting for documentation and analysis of skin wrinkles, texture, tone, and color, to name a few. To assist our clients and their staff with the often intimidating topic of clinical photography, we offer a range of products, services and educational and training tools, including facial and body photography equipment, image storage and management software, photographic backdrops, positioning mats, standardized series and clinical photography guides. We recognize that no one product fits everyone’s needs. If you have a specific problem you are trying to solve or condition you are looking to document, we’d love to hear from you. If we can’t solve it, we will tell you! We strive to keep our prices as low as possible. Give us a call and see if we aren’t among the most competitively priced in the market. 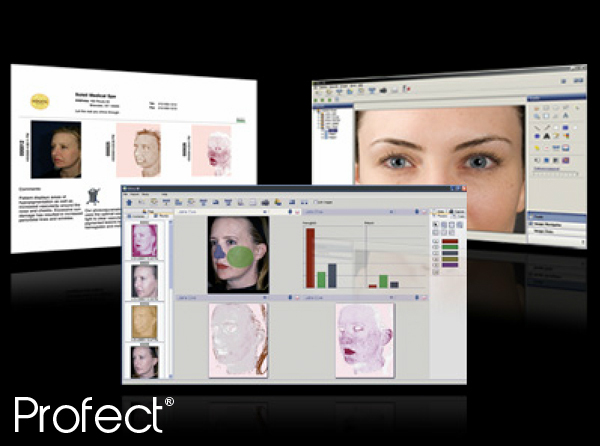 "Having evaluated several photographic systems on the market, I have found Profect® to be the best for monitoring treatment progress, improving marketing and dales and for providing spectacular images for presentations, publications and clinical research"
"The Profect® Photography System takes detailed, reproducible before and after photos and incorporates an easy to use software package for achiving and presentation to patiends. I sould recommend it to anyone looking to accurately document clinical results." 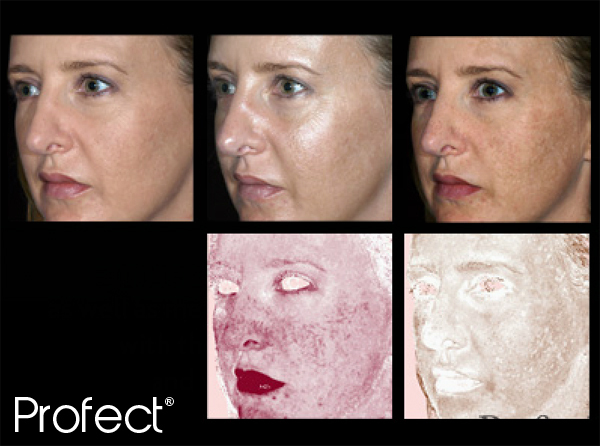 "The Profect® Photography System is an integral part of my cosmetic dermatology and laser practice. Its ease of operation and level of accuracy document before and after pictures, allowing my patients to better appreciate results, even in the most subtle enhancements." 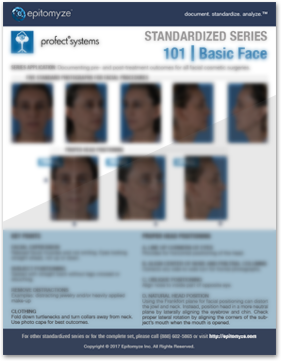 "The Profect® Studio is an important photo-documentation and marketing tool for my practice, and an essential component for evaluation of sun damage." "The Profect® Photography Systems give me excellent quality and standardization of my image, both for the face and the full body. The corresponding software package is user-friendly for all my staff and enables us to easily retrieve and compare pre-and post-procedure images."